Get great savings on your dental care with quality-checked dentists in Costa Rica. Choose and book a dentist with Dental Departures, receive reliable care and save up to 70% compared to your dentist at home! Visiting Costa Rica for dental treatment will give you the chance to enjoy world-class dental care in a country rich in history. Meaning ‘rich coast,’ Costa Rica was so named by Christopher Columbus in 1502. 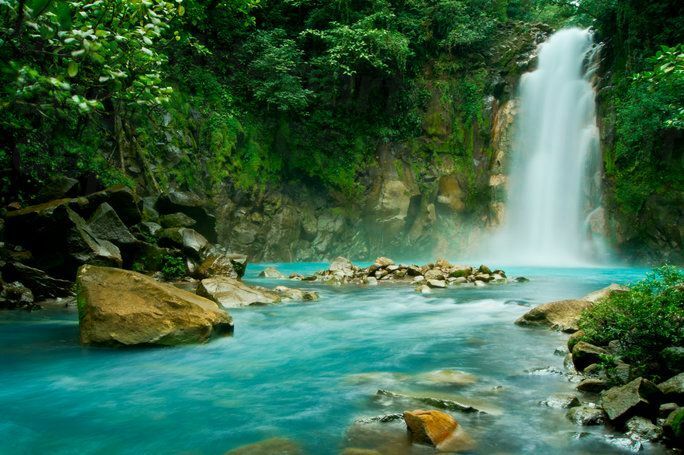 Costa Rica's diverse terrain of jungles, beaches, volcanoes, coral reefs, mountains and hot springs are filled with an extraordinary abundance of plant and animal species, making this Central American tropical paradise a joy to visit for dental care. Historically, Costa Rica was home to four indigenous tribes, who were virtually wiped out when the Europeans arrived. Today only one percent of Costa Rica’s population are descendants from the original inhabitants. The majority of the population is of European descent, while African and Chinese compose the rest. Thanks to exports of coffee, bananas and pineapples, Costa Rica has enjoyed a relatively prosperous economy. More recently, pharmaceuticals, software development and ecotourism have become important industries, with tourism earnings now contributing the most to the Costa Rican economy. By far, tourists from the United States make up the largest proportion of foreign visitors. Affordable flights taking as little as three hours prove an irresistible combination for Americans wanting to experience the tropics along with a dental treatment. For patients seeking high-quality affordable treatment in a destination suiting all tastes, lifestyles and budgets, Costa Rica ticks all the boxes. Costa Rica is located on the Central American isthmus, bounded by Panama to the south and Nicaragua to the north. Costa Rica enjoys two terrific coastlines: the Caribbean Sea to the east and the Pacific Ocean to the west. A tropical climate prevails all year round, particularly in the cooler hill regions. 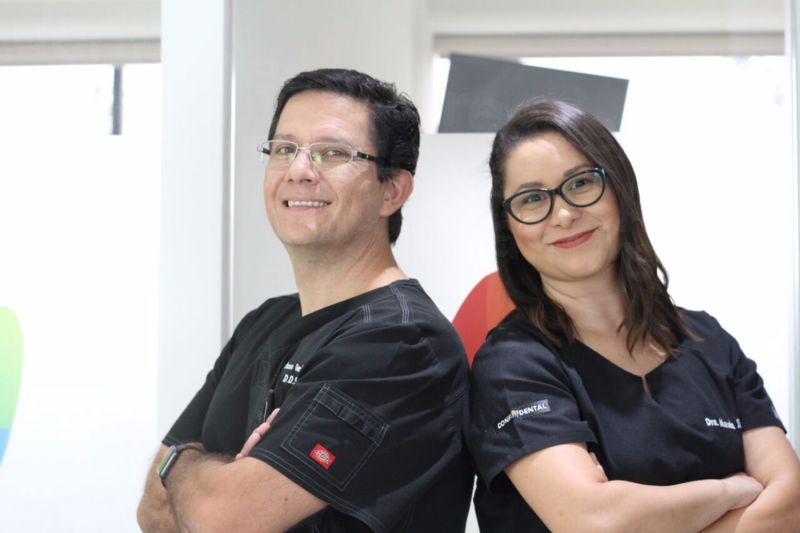 Excellent quality care: Our best Costa Rican dentists have been trained in the US and are likely to be members of the American Dental Association or accredited by one of the leading US or Canadian agencies. Search Dental Departures for verified dentists with excellent reviews from patients who have experienced satisfying outcomes. Great prices: If you are among the millions struggling with the high costs of dental care at home, then Costa Rica could be just the place to get your dental health on track. Savings on most procedure range 40-70% (see below for typical treatment costs). Engish is spoken here: Because the best Costa Rican dentists generally depend upon a high influx of North American patients, English is fluently spoken at all our verified clinics. 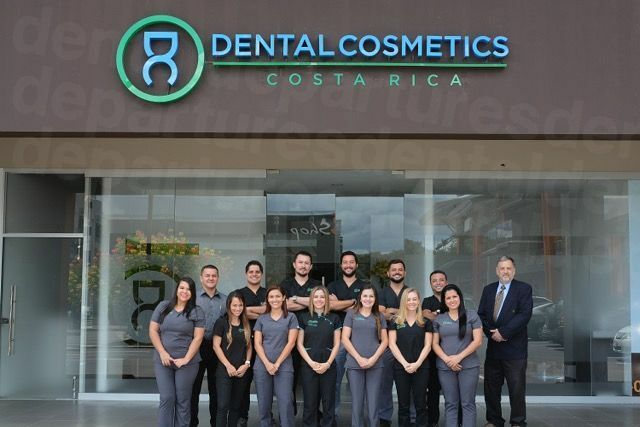 For great prices and excellent quality, our patients like Prisma Dental, Dental Cosmetics Costa Rica and DentaVac Dental Clinic, to name a few. Where Should I Stay in Costa Rica? Hotel accommodations in Costa Rica range from basic backpacker hostels for less than $10 a night to luxury five-star hotels from around $100 a night to all-inclusive resorts. High season (from December to April) is also the dry season, where accommodations are more expensive; during peak season you should book and confirm your accommodation well before you arrive. Depending on the extent of your dental treatment, some of our clinics offer free or discounted hotel accommodations, which can be arranged through your booking with Dental Departures. Many of the finer dental and medical clinics in San Jose are located near Sabana Park, (the country's largest urban park (Ticos call it "the lungs of San Jose"). You'll find plenty of budget and luxury hotels in this agreeable part of town. San Jose's affluent suburb of Escazú (just a few minutes west of downtown) offers options luxury American hotels as well as very affordable airbnb rentals, villas and apartments. 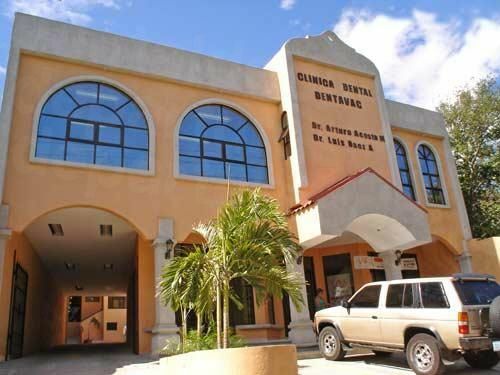 Patients visiting a dentist in Escazú may wish to seek accommodations nearby, as the traffic in and out of San Jose can sometimes be quite heavy. Costa Rica is also known for its "recovery lodging," where dental and cosmetic surgery patients receive extra care (including airport and clinic ground transportation, on-staff nurses and 24-hour patient hotline), along with the opportunity to share stories (optional!) with fellow patients. Las Cumbres Inn and Vista Canyon Inn are two of many such retreats. With rare exceptions, yes. Every year, some two million people – including tens of thousands of foreign dental patients – travel to one of Central America's most affluent countries. Costa Rica is economically stable, a democracy, and for decades has been consistently safe from random acts of terrorism or gang warfare. Pickpockets and petty theft are probably the biggest concern to travelers. As is common throughout the world, pickpockets tend to operate in city crowds and popular tourism sites. Following the common sense rules of the travel road will keep you out of harm's way in this welcoming land. While Costa Rica's rainforests and spectacular coastlines are often compared to a Garden of Eden, San Jose is a typically unromantic Central American capital city. 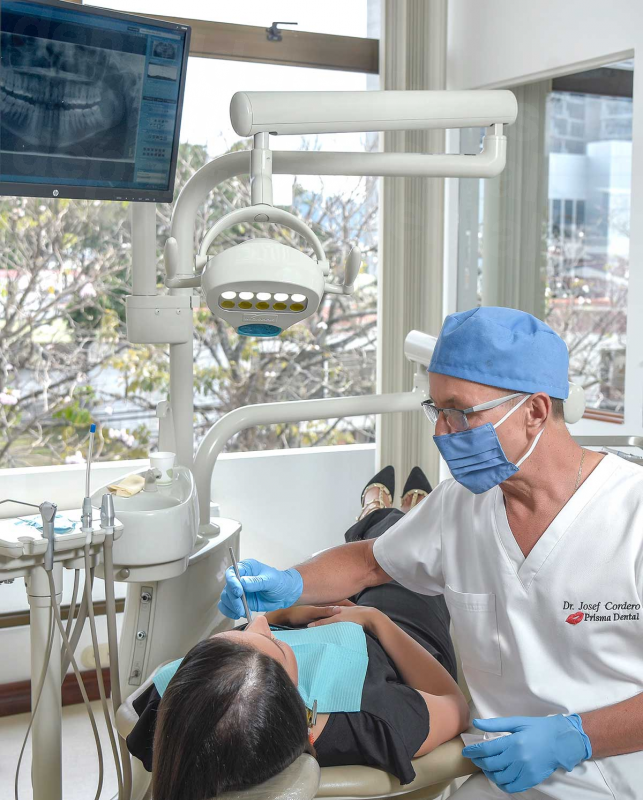 You may wish to avoid San Jose's downtown lodgings by seeking accommodations in the classy, Americanized suburb of Escazú, where many of Costa Rica's best dentists and medical centers are found. What Quality of Care Can I Expect in Costa Rica? There are many dentists throughout Costa Rica who will offer you the same good quality of care that you would receive at home. At Dental Departures we take the guesswork out of finding good, quality-checked dentists in Costa Rica. We have pre-screened our dentists’ qualifications, professional memberships and experience. Along with patient reviews and useful articles, this information is listed on our website for you to browse for free, helping you make an informed choice about your dentist. 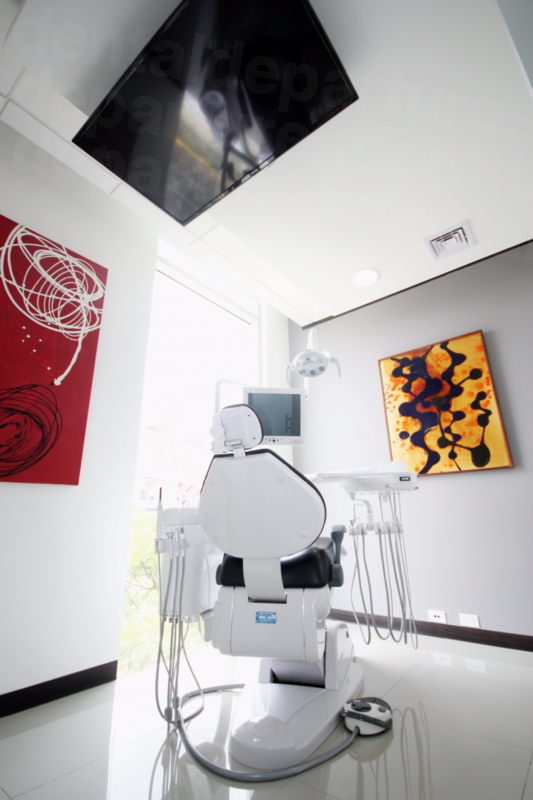 We also visit our dental clinics in Costa Rica which are at least of the same standard as clinics back home, utilizing the same techniques, equipment and international protocols as dentists in the US and Canada. Our best dental clinics carry warranties on the work their dentists carry out, as well as any lab work, such as crowns, implants and dentures. Booking your appointment through Dental Departures not only ensures you receive your care from a quality-checked dentist but also gives you extra peace of mind that should you experience any problems we are on-hand to take care of you. No. Although Spanish is the main language in Costa Rica, English is spoken widely in airports, hotels and restaurants. 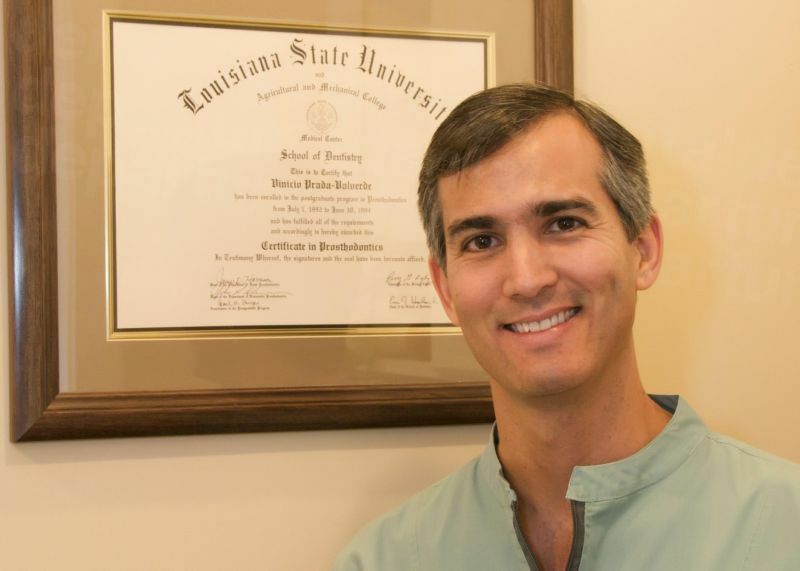 Our best dentists speak fluent English and are accustomed to treating international patients from the US and Canada. What Payment Methods are Accepted in Costa Rica Dental Offices? Cash is accepted by most dental offices – either US dollars or the Costa Rican colόn. While US dollars are widely accepted in hotels and restaurants, you will need Costa Rican currency for everyday transactions. Most of our preferred clinics accept debit and credit cards, along with travelers' checks. Credit card transactions may be subject to a small handling fee of 3-4%. 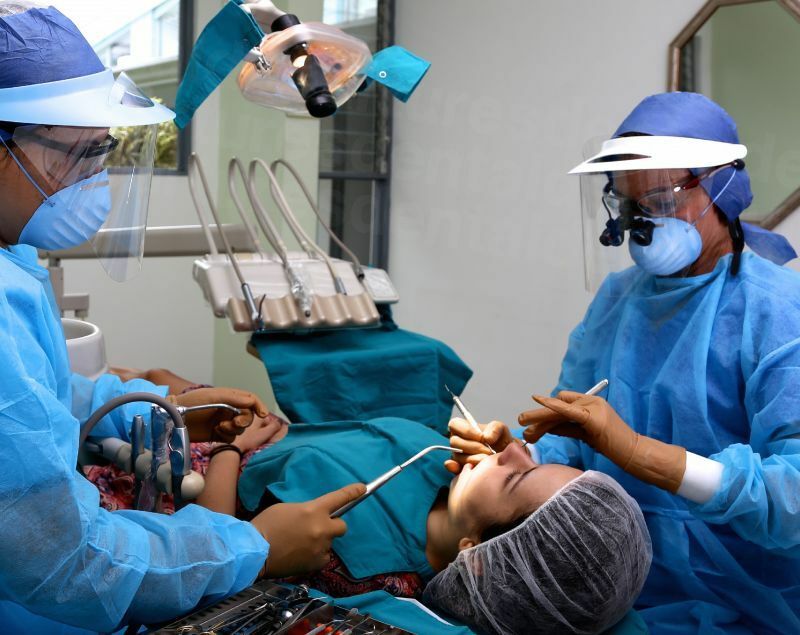 Dental clinics in Costa Rica generally do not bill your insurance company directly. However, you may be eligible for reimbursement when you return home if your insurance company provides out-of-network coverage. Before you book an appointment, check with your insurance company. If you're covered, then you'll want to learn which documents and forms to bring along, so your Costa Rica dentist can help process the paperwork. On a related savings note, you may be eligible to claim medical expenses tax deductions for your dental treatment abroad, which could potentially save you even more money. 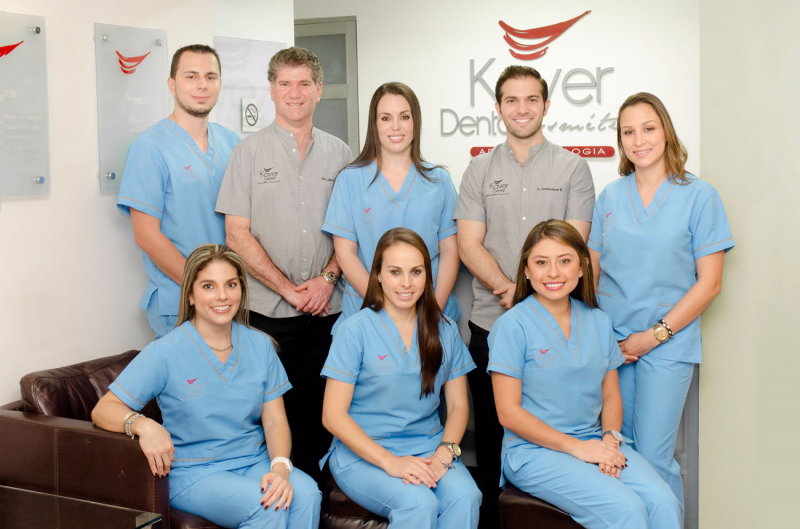 When is the Best time to Visit One of Our Costa Rica Dentists? While the weather is essentially tropical, temperature and rainfall vary throughout the country dependent upon topography and distance to the sea. The highlands tend to be cold and the cloud forest cool and misty; even during the dry season, the high places can be misty and cool. The Central Valley and San Jose are spring-like year-round; both the Pacific and Caribbean coasts are hot year-round. 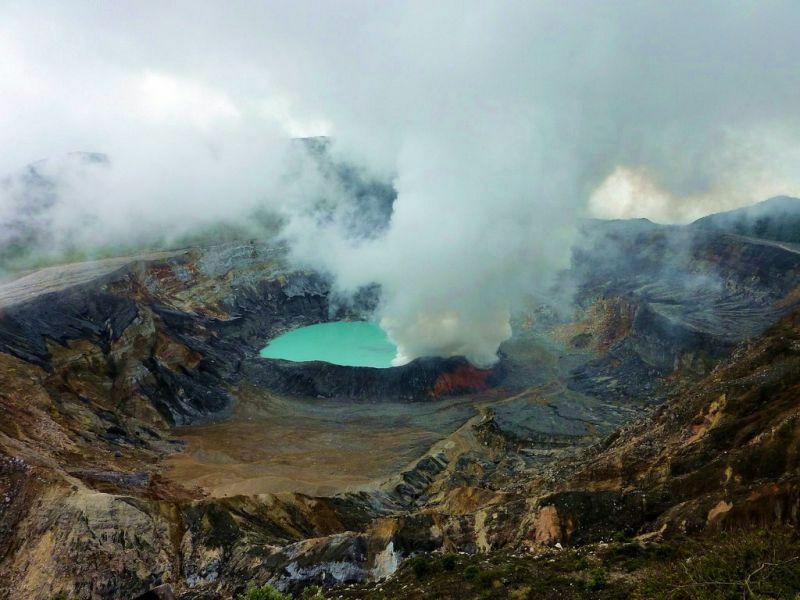 Costa Rica's dry season – and its busiest – lasts from December until April. The rainy season runs from May until November. Bargains can be had on lodging and travel, and many Costa Rica dentists offer special rates on treatment over this period. Is Costa Rica Wheelchair Accessible? Many of Costa Rica’s tourist draws such as the wildlife preserves, rain forest, mountains and volcanoes, are not suitable for wheelchairs. However, most of the established hotels are wheelchair friendly, particularly in upscale Escazú, where many of the best dental clinics can be found. These clinics provide or can arrange wheelchair-friendly transportation services with advance notice. Make sure if you are setting off into the wilderness of the jungles that you are adequately prepared for your trip. If your usual daily exercise routine is non-existent don’t embark on a 15km trek on your first outing, or immediately following a dental treatment! What Else is There in Costa Rica? Costa Rica’s status as an ecotourism destination is assured with its national parks and UNESCO World Heritage Sites, including La Amistad National Park, Talamanca, the Cocos Island National Park and Area de Concervacion Guanacaste. 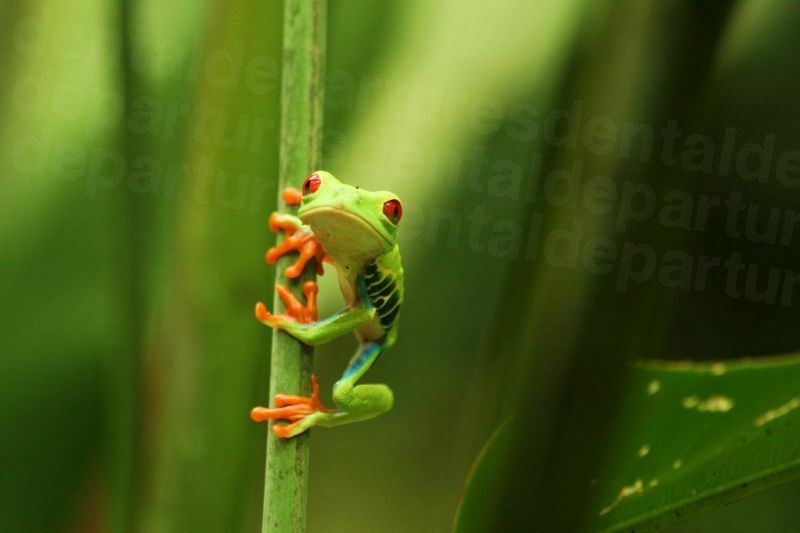 In fact, Costa Rica has a higher percentage of designated national parkland – 25%! – than any other country in the world. 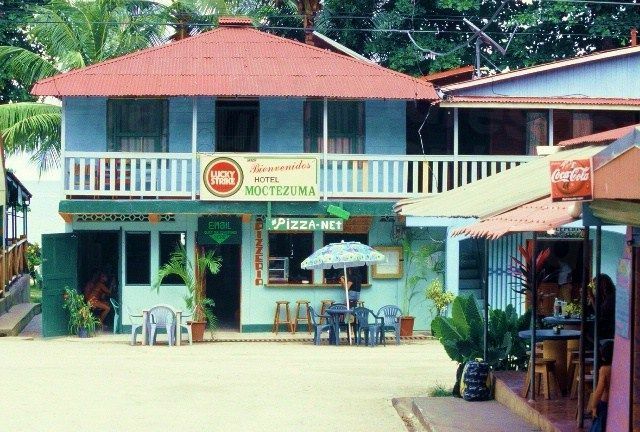 Mountaintop gateway towns such as Monteverde and Santa Elena have an artistic vibe about them with cool galleries and interesting tourist shops. These towns are also the starting points for trekking and hiking expeditions, whitewater rafting and canopy tours of the rainforests, either on foot or on the famous zip line rides through the treetops. 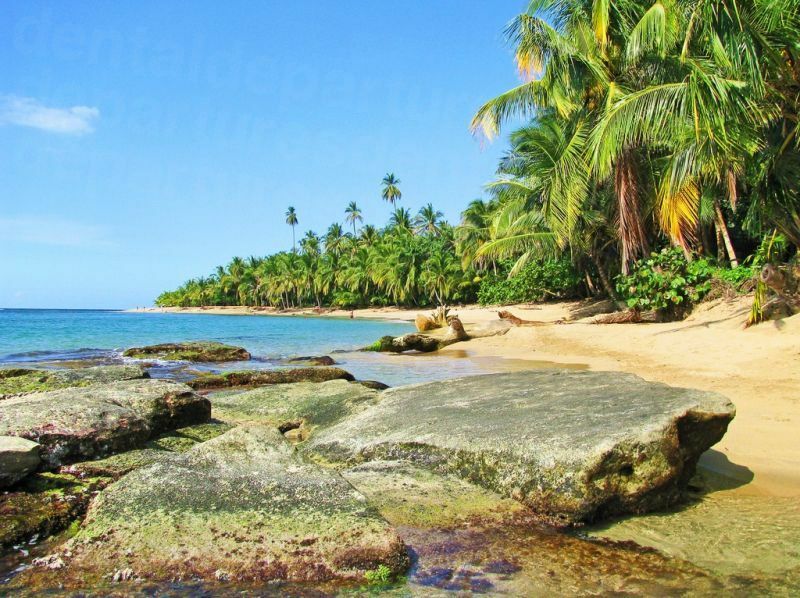 There are plenty of swimming and snorkeling opportunities on both the Caribbean and Pacific coasts, and beach bunnies won’t be disappointed with miles of sandy beaches at Punta Uva, Puerto Limon, Talamanca and Montezuma, to name but a few. Scuba diving is best in Playa del Coco. San Jose is full of museums, galleries and shopping, and offers slightly more sedate downtime than other high-octane pursuits to be found elsewhere in Costa Rica. As does a trip to Sarchi, nestled amid coffee-covered hillsides and home to more than 200 artisan workshops. A trip to Volcan Arenal is particularly impressive at night, when constant eruptions of red-hot lava can be seen in the darkness. On the flanks of Arenal, La Fortuna is a friendly town providing lots of activities including hot springs, waterfalls, bungee-jumping, horse-riding and canyoning. As if there isn’t enough to do, you are never far away from a championship golf course, many abutting an ocean or rainforest view. Most international tourists arrive by air, into Aeropuerto Internacional Juan Santamaria (SJO), just northwest of San Jose, located in the middle of the country. For those heading to the Guanacaste region in the north, flights are now more frequent to Liberia, at Aeropuerto Internacional Daniel Oduber Quiros (LIR). By Car: Driving in Costa Rica is relatively safe, and your driver’s license from home is usually valid for up to 90 days. 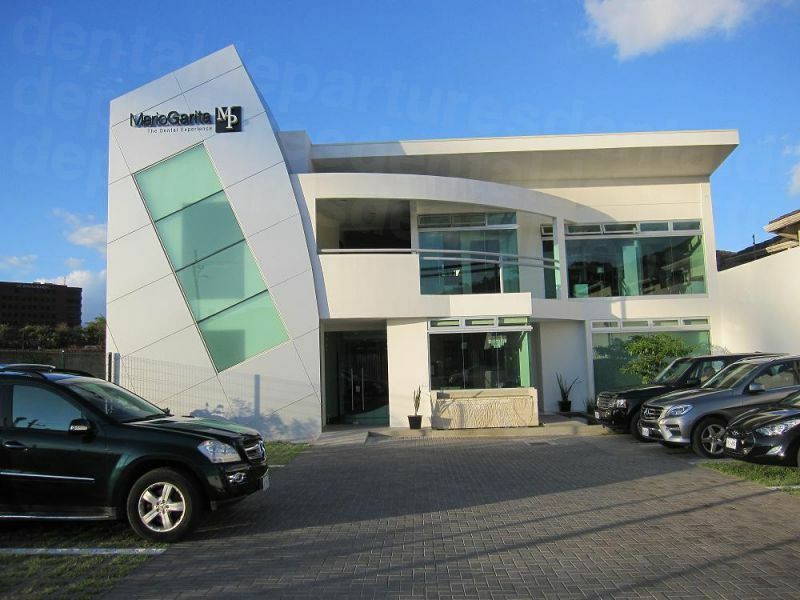 Most car rental agencies are located in San Jose. While driving through rural Costa Rica is great for do-it-yourself sightseeing, San Jose is overcrowded and parking can be a challenge. By bus: Local buses are cheap, frequent and will take you to just about anywhere – the longest journey out of San Jose costs no more than $15. Shuttle buses: Also known as the "Gringo Buses," these run to the most popular tourist destinations and will pick you up at your hotel. Reservations can be made online or through your hotel concierge. Taxis: In San Jose, the taxis have meters, although many drivers don’t use them. Arrange for only official taxis and insist on metered or a pre-negotiated rate. Outside San Jose taxis are not metered and you will want to negotiate a price upfront. Nationals from the United States, Canada, the UK and most Western European countries are permitted to stay for up to 90 days with no visa. Australian and New Zealand nationals are allowed to stay for 30 days with no visa. Call our toll-free number or book online for your dentist in Costa Rica. Know-before-you-guy and use our website to find your dentist, read patient reviews and view clinics with virtual tours and high-resolution photos. Get high-quality dental care at low prices - book with Dental Departures today! Joanne Thomas. Costa Rica Travel Warnings. USA Today.